They say, ‘Beauty lies in the eye of the beholder’. 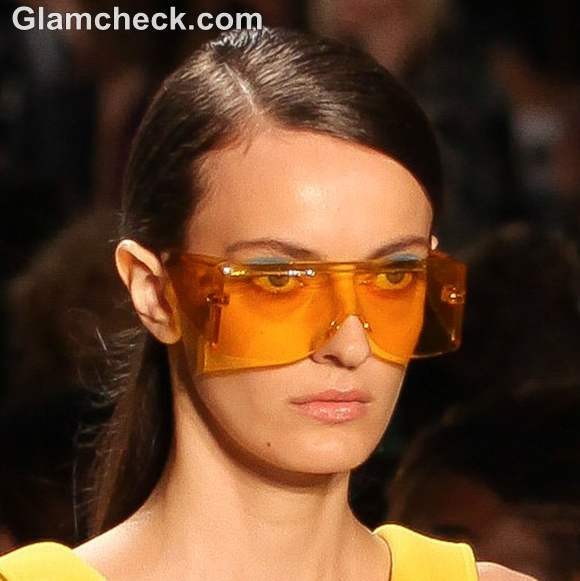 For those of us who would like to look at the world in style, nothing could be more perfect than Michael Kors Spring Summer 2013 visor sunglasses that were showcased as part of his collection at the Mercedes-Benz Fashion Week in New York in September this year. 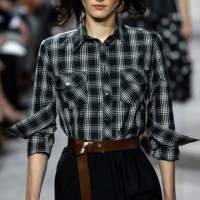 Michael Kors’s S/S collection was all about “geometric glamor”. We saw a range of structured coats, clean silhouettes, suits and dresses in a lot of bold, vibrant colors and intriguing stripes and prints. While the highlight of the show was definitely the clothes, his accessories were also just as eye-catching. Besides his trendy bags and shoes on display, playful futuristic glasses in primary colours like red and yellow seemed to be just right for his colllection of mod silhouettes and sharp tailoring. As our ‘Style Pick of the Day’, these fabulous sunglasses can be worn with practically any ensemble. 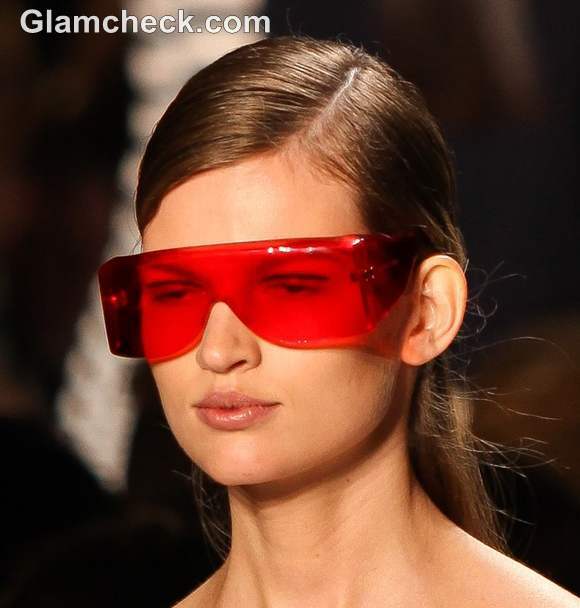 Besides neon red and yellow, transparent glasses were being flaunted too. 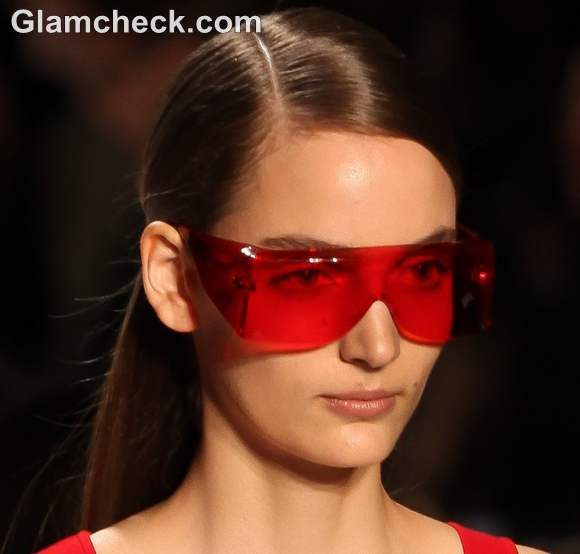 Here are a few tips on how to wear these glasses next season. Since these glasses are an emerging trend, you could wear them with almost any style of clothing and give your look a sophisticated touch. You could try these glasses with classic silhouettes like suits or dresses or just wear them while on the beach. These glasses are great to wear with casual clothing too. Or you could simply wear them with colourful, geometric outfits similar to that of Michael Kors S/S 2013 collection. Either way, these glasses are a must have accessory for next season. As far as makeup is concerned, you could do your eye makeup the way Michael Kors did it; by applying a stroke of a vibrant blue eye liner at the junction of your eyelid and brow. Combine that with a side-parted hairstyle and you’re all set to rock the town. And don’t forget to keep things simple yet fun. Avoid any unnecessary colors if possible and keep the focus where it ought to be without looking bright and overwhelming. 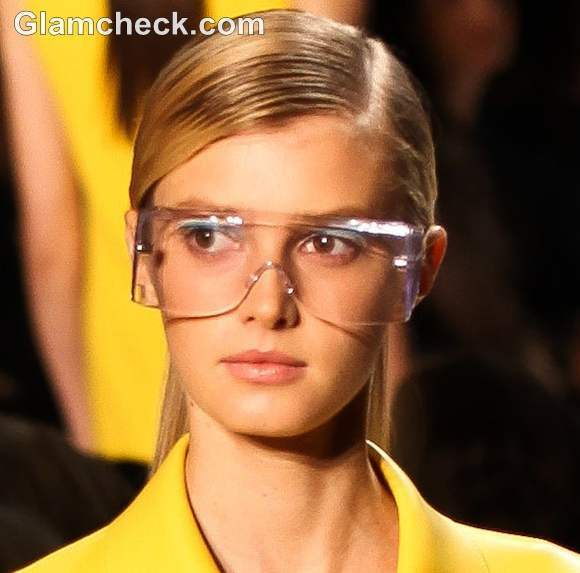 Overall, as an upcoming fashion trend, these glasses are perfect for work and play. And since fashion is all about style and personal statement, these glasses more than fit the bill.